The 2018 AT&T Byron Nelson is less than 90 days away! 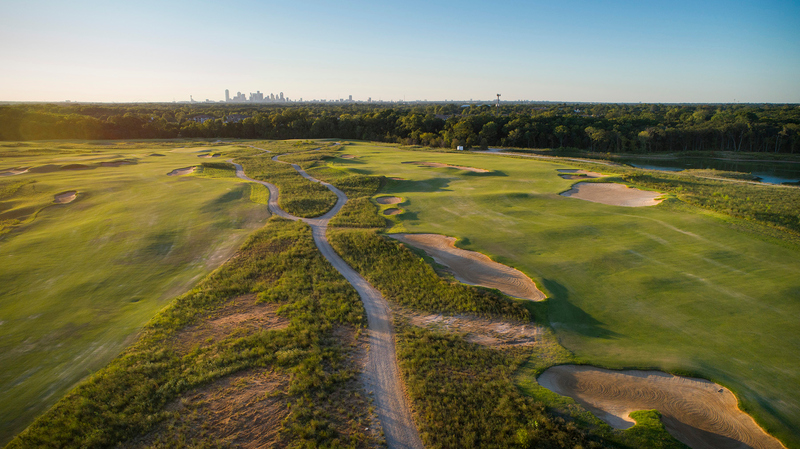 We look forward to celebrating the tournament’s 50th anniversary and we are excited to welcome the players, fans, volunteers, sponsors, media, and television audience to the tournament’s new home at Trinity Forest Golf Club. First thing’s first, when does the action start? This year, the action starts on Wednesday. When you’ve got a new home, you want to show it off. With that goal in mind, we are offering complimentary admission on Wednesday to watch the pros during their pro-am round. No need for a ticket this day, just hop on the shuttle and come on out! Don’t battle traffic, take the shuttle. Parking is free, the shuttle is free, and it drops you at the front door of the tournament, just yards from the Pavilion. Complimentary spectator parking is located at the State Fair of Texas, and it’s a short, 12-minute-shuttle ride. Prefer to catch a ride? All ride-share drivers will be directed to Lot 12 for drop-off/pickup. From there, it’s a short, five-minute (complimentary) shuttle ride to the tournament front door! What is there to do around the tournament? Remember, other sports tailgate…at the AT&T Byron Nelson, we Pavilion! The Pavilion has always been a fan-favorite and you can expect the same party this year. At the new course, look for it right inside the main entrance. Meet up with friends, grab a drink, listen to some music, watch the action on the big screen, and soak in the vibes. Kids Zone is back, too! Duck inside the air-conditioned space and let the kids roam free for a bit. No need for “quiet please” in this area. There will be plenty of games, activities, and the opportunity to learn about the tournament beneficiary, Momentous Institute. What will the viewing experience be like? So. Many. Options! What you’ll find when you enter the Trinity Forest Golf Club, is that it’s really tough to find a spot where you can’t watch golf! And getting around, couldn’t be easier. The course is wide open, with many spots available to watch several holes at one time. And on a links style course such as this one, there is no hiding under a tree! But not to worry, we’ve got you covered (literally). We’ll have several shade structures (plus misting stations) throughout the course to help keep cool, as well as the Pavilion. What to expect from the field? We will keep you updated on which professionals will be joining us this year, as we usually start hearing from them in the Spring time. One thing that’s for sure, the golf course will present the players a test that is unique on the PGA TOUR. A throwback to the great links courses of those in Scotland and Ireland, this Crenshaw-Coore layout will cause the players to have to think on every shot. Players that keep it in the right place and stay focused should fair the best! For more detailed tournament information, please visit our FAQ page. First Time at The Nelson?